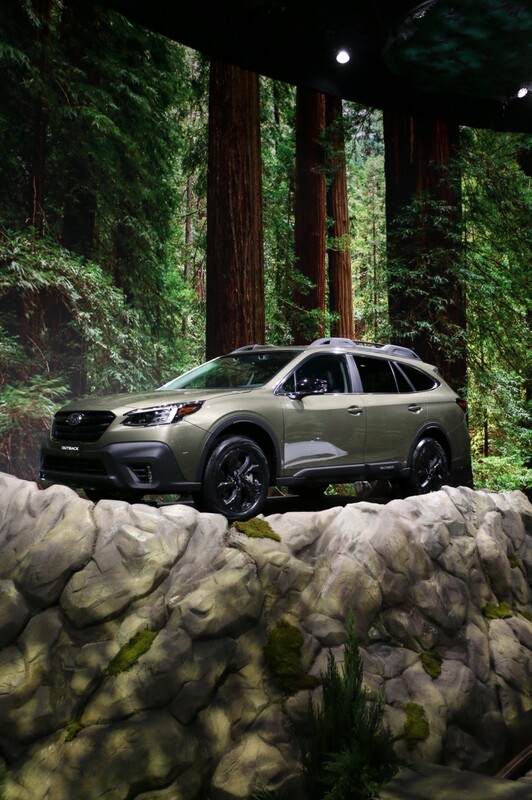 NEW YORK, April 17, 2019 /3BL Media/ - Subaru of America, Inc. today unveiled a one-of-a-kind display at the 2019 New York International Auto Show, honoring the automaker’s long-standing support of the national parks and partnership with the National Park Foundation. 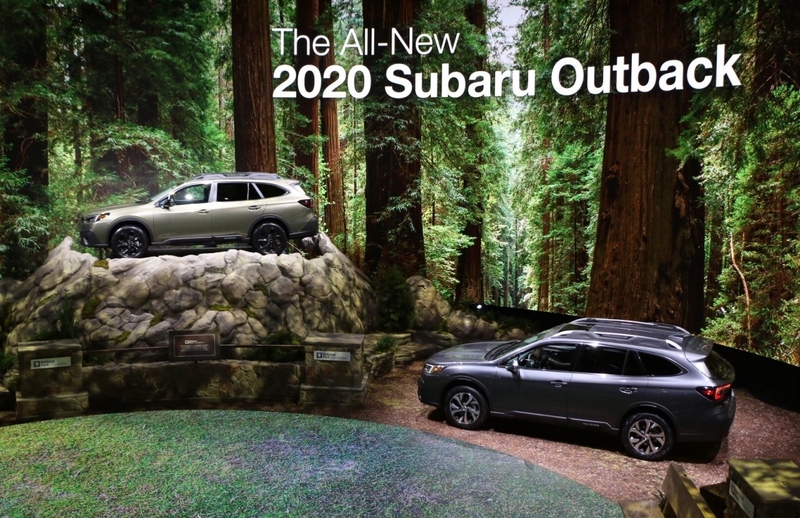 The Subaru display allows attendees to experience Yosemite, Denali, Arches and Yellowstone national parks from inside New York’s Jacob K. Javits Convention Center. 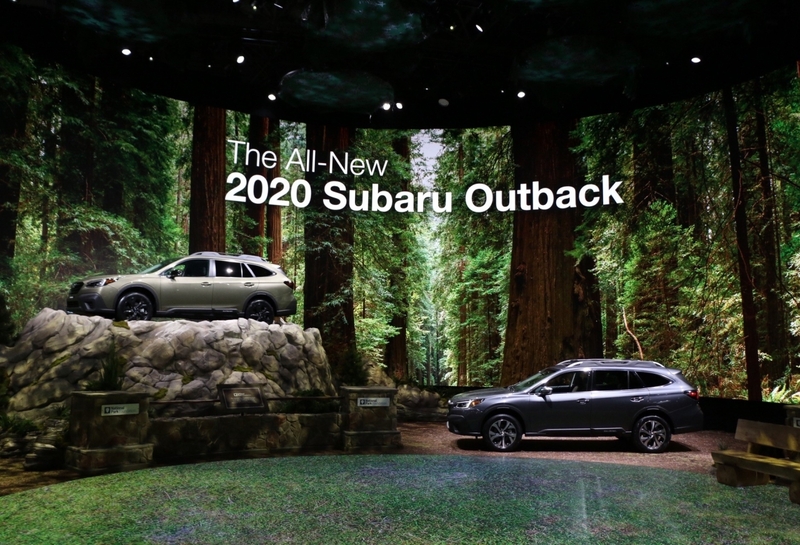 Auto show attendees are immersed in a 360-degree, floor-to-ceiling experience, designed to celebrate the relationship between Subaru customers, their love for outdoor adventure, and the introduction of the all-new 2020 Outback – the most adventurous, most reliable, safest and best Outback ever. Featuring a mix of recycled and sustainable materials, live plants, and state-of-the-art technology, the exhibition covers over 10,000 square feet of the Javits Convention Center. The innovative display touches all senses, allowing visitors to be immersed in the sights, sounds, scents, and weather of these majestic landmarks while creating a one-of-a-kind sensorium experience. From the snowcapped magnificence of Denali’s 20,310-foot summit to the uncanny predictability of the Old Faithful geyser eruption at Yellowstone, auto show attendees are surrounded by the elements of nature while viewing the all-new 2020 Outback alongside the full Subaru SUV lineup that includes Crosstrek, Crossktrek Hybrid, Forester and Ascent. In an effort to further bring its zero-landfill efforts to life, Subaru created the display with sustainable materials wherever possible. The automaker will reuse elements from the display for future auto shows, as well as other Subaru events, while other portions of the display will be recycled or donated. It serves as a testament to the automaker’s 20-year history of supporting the parks through partnerships and programs such as the Subaru/Leave No Trace Traveling Trainers. 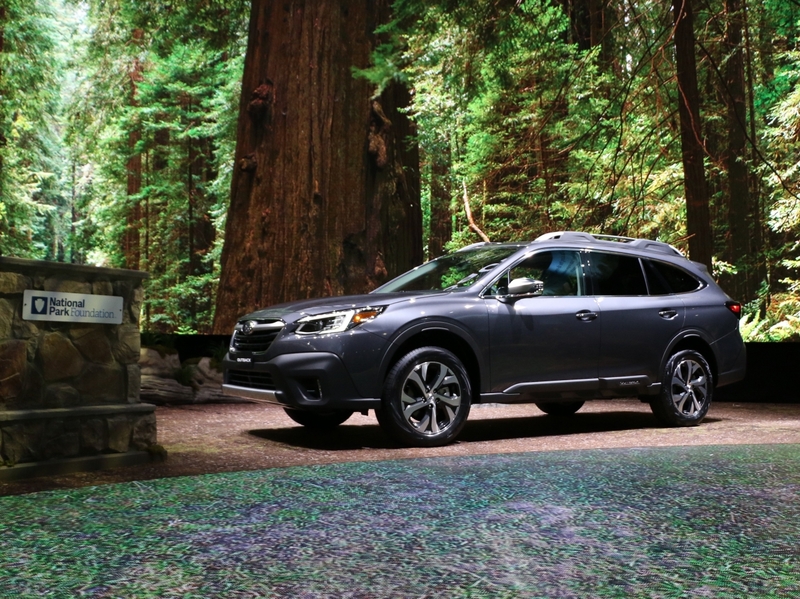 To date, Subaru has contributed $68 million to help preserve America’s national parks. As the largest corporate partner to the National Park Foundation, Subaru is leading the way in bringing awareness to the parks during National Park Week (April 20 to 28) to celebrate America's treasures. National Park Week is a time to explore amazing places and discover stories of history and culture. Making the National Park Foundation an early partner of the Subaru Share the Love Event, Subaru became the sole automotive partner of the Find Your Park/Encuentra Tu Parque campaign, and began sharing its zero-landfill expertise through the Don’t Feed the Landfills initiative, helping parks eliminate over 6 million pounds of waste. The National Park Foundation is the official charity of America’s national parks and nonprofit partner to the National Park Service. Chartered by Congress in 1967, the National Park Foundation raises private funds to help protect more than 84 million acres of national parks through critical conservation and preservation efforts and connect all Americans with their incomparable natural landscapes, vibrant culture, and rich history. Find out more and become a part of the national park community at www.nationalparks.org.